Dental health is one of the most neglected issues in dogs. Yet, neglected teeth can quickly lead to canine dental disease other serious–and often fatal–diseases. Dr. Kathryn Primm, owner of Apple Brook Animal Hospital, and Dr. Denise Petryk, Director of Veterinary Services at Trupanion, shared with us some of the illnesses that can result from poor dental hygiene. What Can a Responsible Pet Parent Do? So now that you’ve heard about these painful, life-threatening diseases, what’s a responsible pet owner to do to keep their furry family members healthy? The number one thing is to do ANYTHING you can to clean your dog’s teeth to prevent the possible onset of canine dental disease. Yearly cleanings on top of daily brushing is what the vet will recommend. Yet, many pet parents find it too difficult to brush their dogs’ teeth. If you can’t manage to brush their chompers even once a week, offering your pet the right kind of dental treat will definitely help maintain your pup’s teeth between cleanings and lessen their chances of developing canine dental disease. If you’re like us and brushing your dog’s teeth is a trial if not impossible, then you’ll love the ease and the benefits of giving your dog Project Paws™ Grain & Gluten Free Dental Sticks. 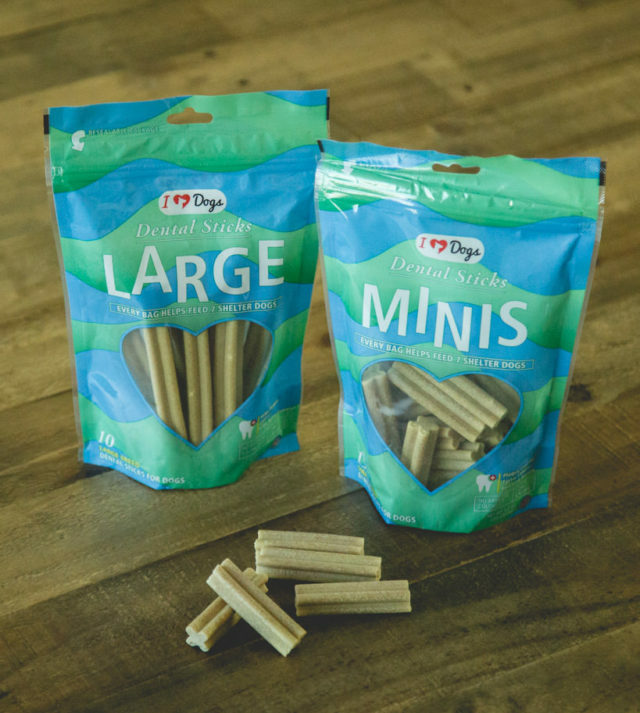 These dental chew sticks are not only down right healthy for your dog, they’re super tasty. Most dogs go absolutely nuts for them! The chews feature 3 enzymes and a special supplement called “curcumin” that work on their own or together to annihilate plaque and infection causing bacteria in the mouth. Plus, each bag provides 7 meals to shelter dogs. Even better, Project Paws™ Grain Free Triple Enzyme Dental Chews are now available on Amazon with Prime shipping. Protect your dog and treat your dog, all at the same time!